Hunter's Roosevelt House to Host Author of "Lincoln and the Power of the Press"
On Thursday, February 26 at 6 pm, the Roosevelt House Public Policy Institute at Hunter College (47-49 East 65th Street) will host Harold Holzer, author of "Lincoln and the Power of the Press." The event will feature Holzer in conversation with New York Times editorial writer Brett Staples, then a reception and book signing. 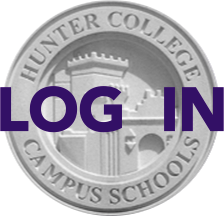 The Hunter community is welcome to attend and is asked to RSVP here. More information on the book is below. Holzer's Lincoln and the Power of the Press has been widely acclaimed as "a monumental, richly detailed portrait of the world of 19th-­century journalism and Lincoln's relation to it" (The New York Times Book Review). Join us at Roosevelt House to hear Harold Holzer in conversation with Brent Staples, editorial writer for The New York Times, as they discuss a central but largely ignored dynamic of the Civil War era -- how, as Holzer writes, "the leading figures in the intractably linked world of politics and the press waged a vigorous, often vicious, competition to determine which political belief system would emerge with more popular support and thus shape the national future." The Washington Post praised Lincoln and the Power of the Press as "three books in one: a political biography of Lincoln written by a scholar who is among the most prolific chroniclers of the 16th president, a superb and engaging portrayal of the American press during a crucial moment in its history and that of the nation, and a riveting account of the intersection between a man redefining the presidency and a press establishing its modern role."